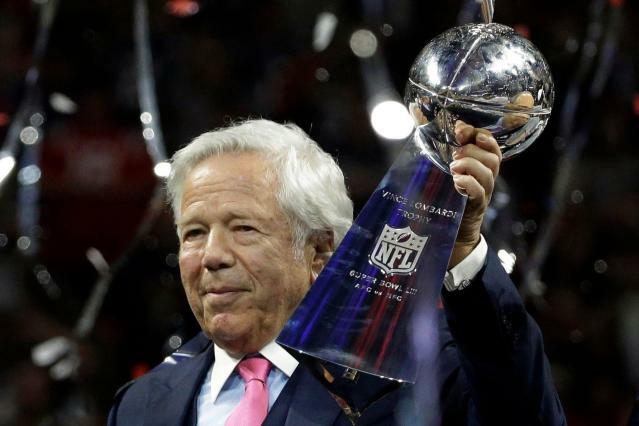 Attorney William Burck, who is representing Robert Kraft in the New England Patriots owner’s solicitation case in Florida, asked a judge on Friday not to make public a video of Kraft at a day spa. Kraft has been charged with two counts of misdemeanor solicitation of prostitutes. He was one of numerous individuals caught during a months-long police sting operation in Palm Beach and Martin counties. Police allege that Kraft paid for sexual services at Orchids of Asia Day Spa in Jupiter on two occasions, including on the morning of the AFC championship in January before boarding his plane to Kansas City for the game. The interactions are on surveillance video. An attorney for media companies including ESPN and ABC argues that not releasing the videos would be in violation of Florida’s public records law. Burck has filed a motion to suppress the video, and earlier this month filed a memo claiming that Jupiter police called in a fake bomb scare to Orchids of Asia, forcing evacuation of the facility and using that time to install the hidden cameras. Burck has also called Martin County Sheriff Will Snyder a liar for attaching Kraft and others to a human trafficking ring. During the hearing on Friday, prosecutors admitted that no one will be charged with human trafficking. The 77-year-old Kraft has pleaded not guilty and requested a jury trial.